As any local or federal prosecutor in urban America can tell you, witness intimidation is a big problem. In fact, in Baltimore, a gang member made some popular videos warning people not to “snitch”. And tv shows like HBO’s popular “The Wire” show the downfall of snitching: death. That being said, who knows how much a difference this will make — considering some of the people who intimidate or kill witnesses don’t really care about the law. 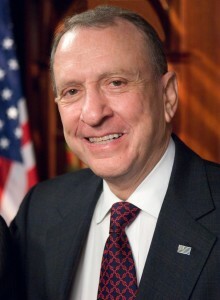 Still, Sen. Arlen Specter (D-Pa.) on Tuesday introduced legislation that makes it a federal crime to threaten, harm, or kill a witness in a local criminal case, the Philadelphia Inquirer reported. “Unless witnesses can be assured they will be protected, the problem of witess intimidation cannot be expected to go away,” Specter said on the Senate floor, according to the Inquirer. Posted: 2/24/10 at 8:29 AM under News Story.